1 yukata : cotton ; 54.5 x 25 (center back) in. 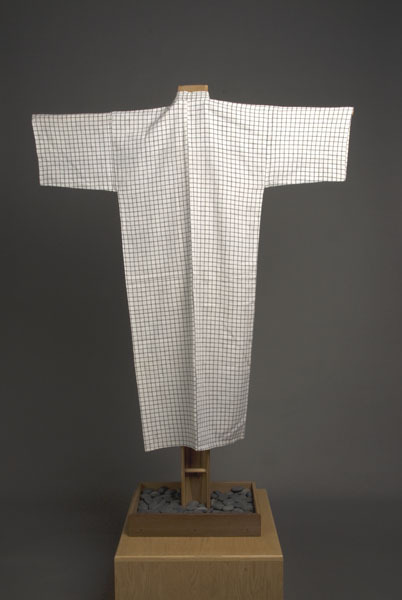 White handmade yukata with black window pane check pattern and kakusode (square) sleeves which indicate it is for a man; unlined. 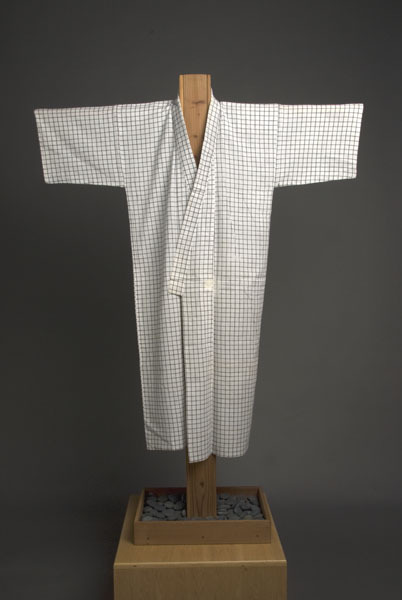 Worn by Shizuka Morishita in the 1930s.